Dig it, Groove-ophiles! Way back in Detective Comics issues 463-468, writer Bob Rozakis and editor Julie Schwartz hit upon a novel idea: make a super-villain the star of Detective Comics' back-up feature. 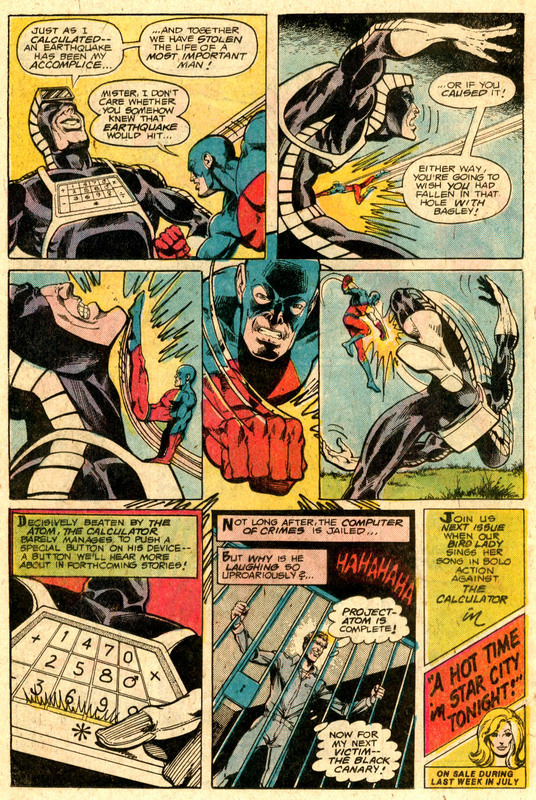 Rozakis teamed with artist Mike Grell, and they came up with The Calculator, a super-villain based on the then-popular, just made affordable pocket calculator. A fun, if silly (at least in retrospect) villain, the purple outfit with giant buttons and LED headgear looked kinda cool back in the day. The Calculator's powers were very Green Lantern-ish, which, coupled with his extraordinarily high intelligence, made him a pretty formidable baddie. 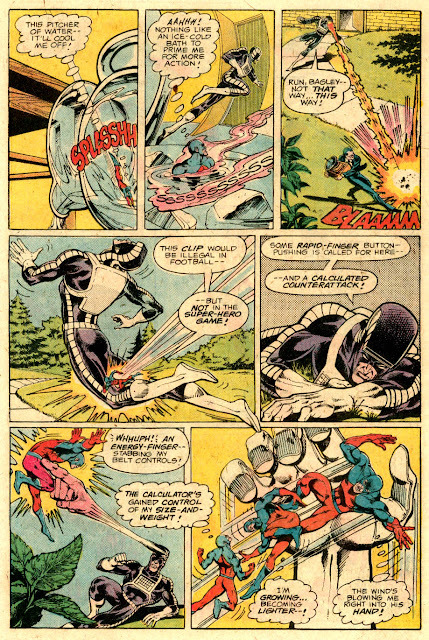 The coolness factor was upped as we saw The Calculator battle a different hero each issue drawn by far-out artists like Grell, Ernie Chan, and that "new kid" Marshall Rogers, all awesomely inked by Terry Austin! 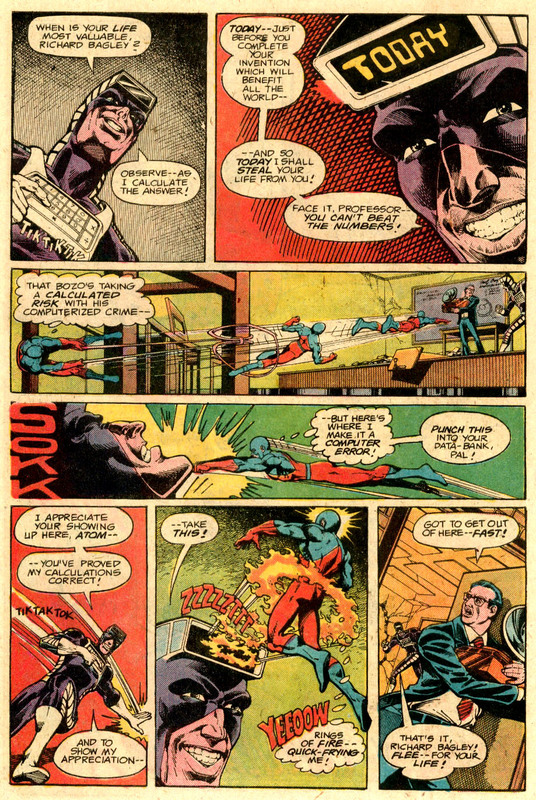 Here's The Calculator's debut, featuring The Atom, "Crimes by Calculation!" from June 1976! Watch for more of The Calculator in coming posts! Oh, and if you want the ending ruined for ya, go ahead and leap to the final showdown from Detective Comics #468...or wait and visit that link once you've read...the REST of the story! 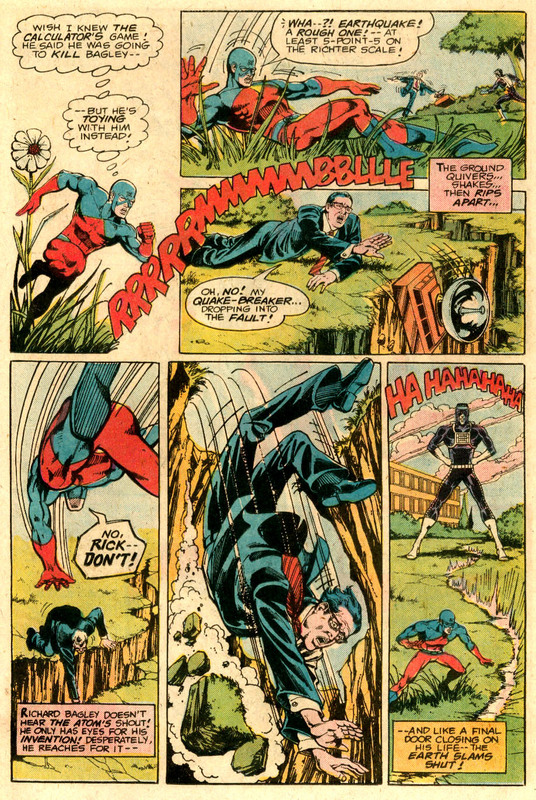 These backups were the entry of Terry Austin into the comics inking field. Soon he would be teamed with Marshall Rogers for their magnificent run on Batman in the front of the mag. 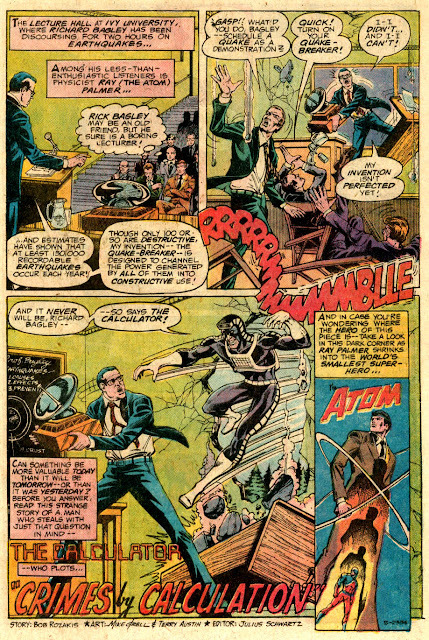 Then his legendary run on the X-Men and all other kinds of delights in the groovy age. 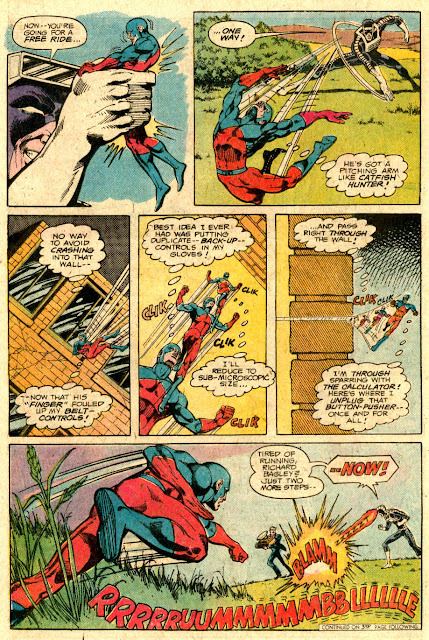 Thanks for giving us this ground-floor view of the beginning of one the the best inkers ever in the history of comics. Another blast from the past Groove! Wow I read this many years ago when I was a little kid! Man, I almost teared up when Bagley fell into that chasm! I liked this arc so much as a kid! The one and only time it was printed, monthly, in Italy, it was printed in black and white, except for the final chapter, and Austin's inks just shone!